Nicole DeMarco, a College of Saint Rose senior, had not yet met David Szczerbacki, the Saint Rose president, when her professor asked her to write a song commemorating Szczerbacki’s inauguration. 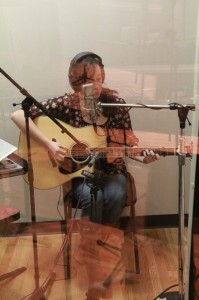 DeMarco has been writing songs since childhood and plans to make this her profession. 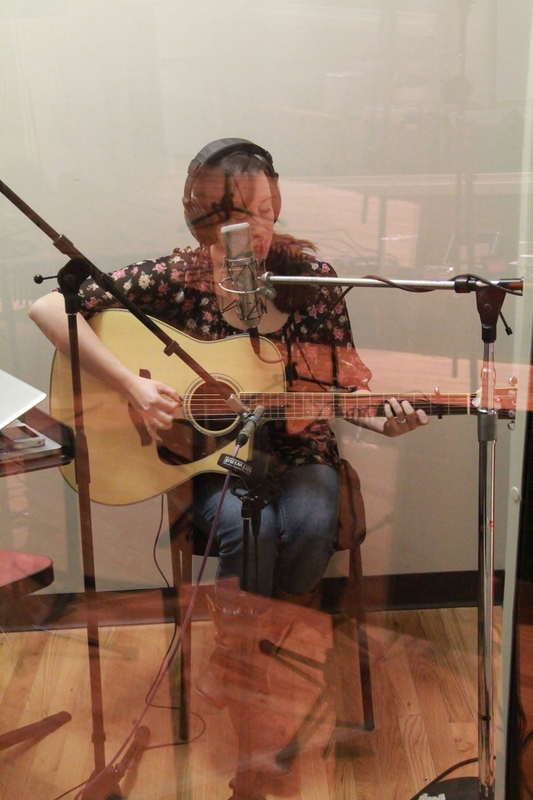 She came to Saint Rose to learn the fundamentals of music theory, production, performance, recording and marketing. 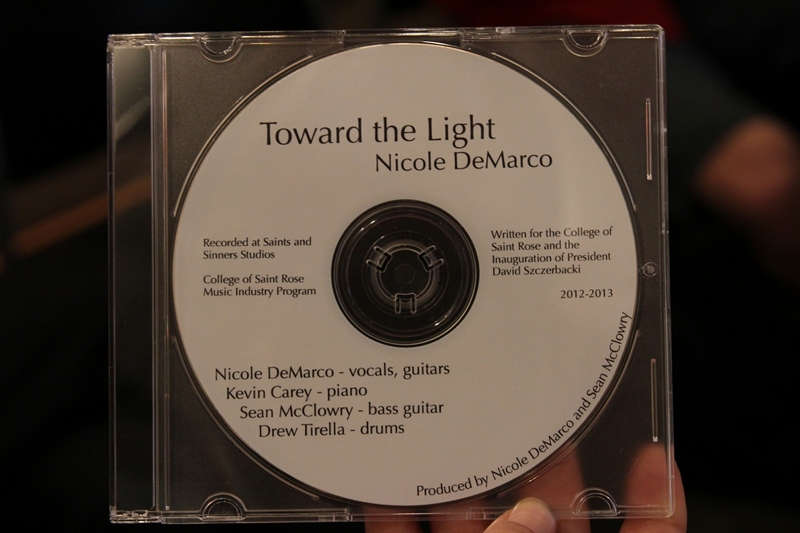 DeMarco sewed the thoughts together and wrote “Toward the Light,” a rock-tinged anthem which ties in Saint Rose and Albany history, as well as Szcerbacki’s hopes. DeMarco and several other students performed it at a gala the night before inauguration in the fall. Her music industry professor, Sean McClowry, decided that the song should not be retired after just one gig and enlisted students in producing a full-blown professional recording in the College’s Hearst Center for Communications and Interactive Media. Next, Steven Musso heard the song and he had an idea. Like DeMarco, Musso is a senior and a music student. He asked if the Saint Rose Chamber Choir might perform “Toward the Light” at commencement in place of the college song that has been a graduation staple. Professor Michael Levi, the choral director, agreed. So did DeMarco. Musso took on the task of arranging the piece as a choral work. On Saturday, he and DeMarco will each graduate. Near the end of the ceremony, after degrees are conferred, the 40-member chamber choir will perform “Toward the Light” a cappella. DeMarco will be one of them. Musso will conduct. “It is great to leave something behind,” said DeMarco, who noted she also penned her sixth grade graduation song. This is no small matter. On Saturday, “Toward the Light” becomes just the third college song sung at Saint Rose commencements. It replaces “Saint Rose – Song for a New Century,” which has celebrated Saint Rose graduations since music student Diane Wituszynski-Baltazar ’79 G ’82 won the honor in a songwriting competition around 1980. And before that, commencement audiences had been hearing the College alma mater written by Winifred McGowan Quinn –for the first graduation in 1924. “Toward the Light” describes the vision of the Sisters of Saint Joseph of Carondelet for a new college and then walks with President Szczerbacki as he continues the journey nearly 100 years later. DeMarco sings it in a straight tone voice suited to her blend of folk and pop reminiscent of Joni Mitchell. It is a reflection of the talent and technology at Saint Rose that the college community will receive not just one but two distinctive musical gifts this week. The first is the professionally produced recording Professor McClowry and his students created in sessions that stretched 30 hours through the semester. Students made the myriad decisions a specialized crew would make in a professional setting. “We looked at this as research,” said McClowry, seated in the control room during a session. Through a window, DeMarco sang and played guitar. 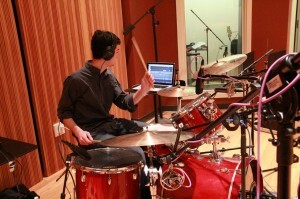 Another student, Drew Tirella, provided the percussion. Out of sight in another studio, Kevin Carey played an upright piano. 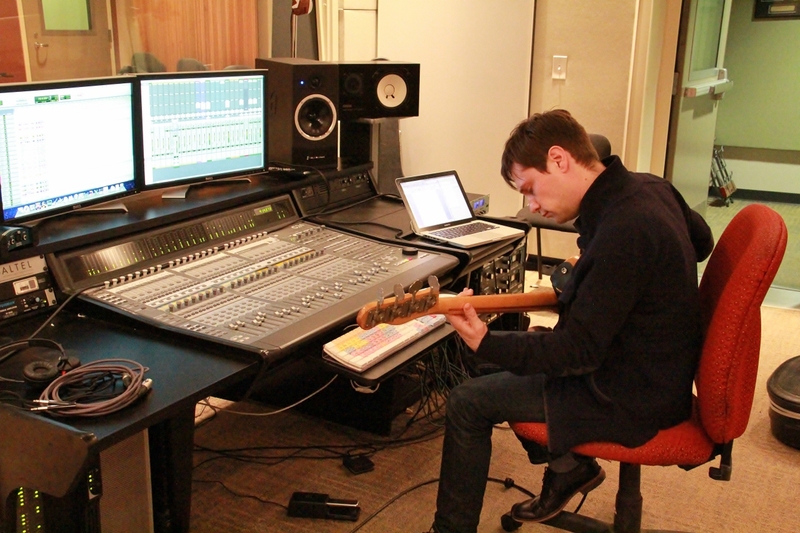 The four – McClowry on electric bass – used headphones and laptops to collaborate on every note. 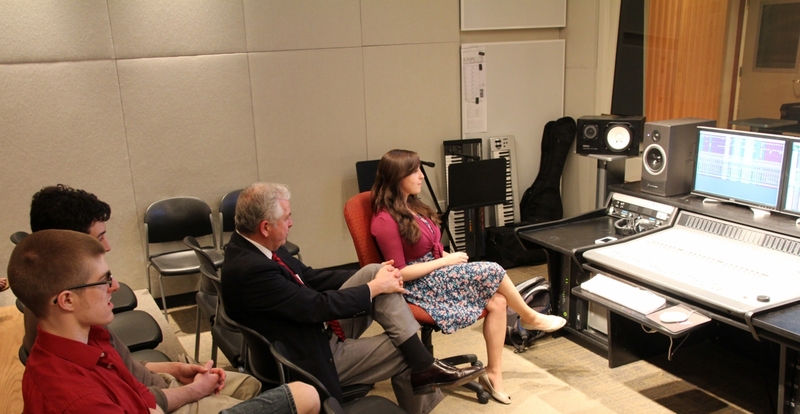 On Tuesday, they gave a CD of the finished product to President Szczerbacki and invited him to hear it in the recording studio. Surprised by the gift, he was also moved to hear his words put to music. “In some way these words sound more relevant today than when I heard this song in October,” he noted nearly a year into his presidency. On Saturday at graduation, he would hear the Saint Rose Chamber Singers present a very different take on DeMarco’s composition. To arrange it, Steven Musso faced the challenge of translating a simple pop tune into a work for dozens of classically trained voices, and no instruments. He decided to open the piece with a vocalization of DeMarco’s guitar picking. 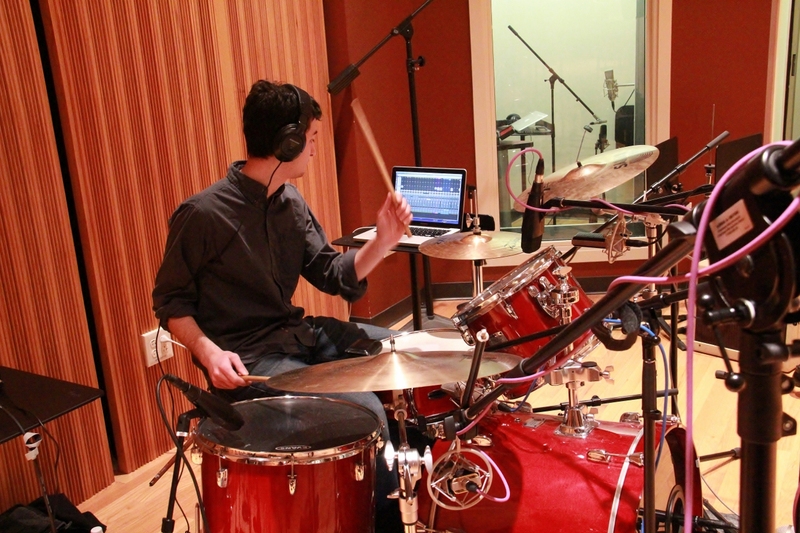 He incorporates a cajon – small percussion instrument – to pick up drum sounds. But his arrangement is as elaborate and strong as DeMarco’s is simple and soft. And far more daunting than performing it to thousands of people at commencement was performing it before one – the woman who wrote it. Getting DeMarco’s approval meant a lot to Musso, who rarely actually meets the composer whose work he arranges.